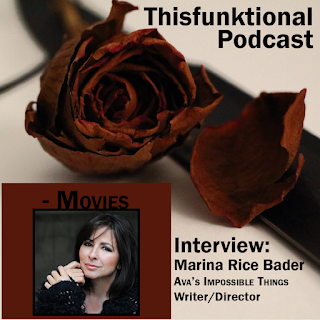 “Ava’s Impossible Things” writer-director Marina Rice Bader talks with Jesus, #Thisfunktional of thisfunktional.com, about the journey to make “Ava’s Impossible Things,” how personal this film is and a bit on how she came to start Soul Kiss Films at 53 years old. “Ava’s Impossible Things” premieres at OutFest 2016 on July 16 in Los Angeles, California. ‘War for the Planet of the Apes’ Official Trailer: HOLY CRAP BALLS! Previous story MasterChef Kitchen Welcomes Mexican Chef Aaron Sanchez!